If round-trip tickets from New York City to San Francisco cost $317 per person (at the time of booking), how did I manage to only spend $345 for 2 round-trip tickets? I share this buy one, get one free deal and more in today’s episode! Today we’re going to talk about the Delta SkyMiles companion certificate. If you don’t already know, the Delta SkyMiles Companion Certificate is one of the exclusive perks that come with the Platinum Delta SkyMiles credit card. As a card member, you automatically get a companion certificate every year you renew your credit card and pay the annual fee of $195. To some this might sound steep but hear me out. I love the Platinum Delta SkyMiles credit card because the companion certificate allows you to buy one round-trip main cabin ticket and get another round-trip main cabin ticket for free. You’re only responsible for paying the taxes and fees on the freebie. Why is the companion certificate so beneficial? Although the upfront cost is $195, the Delta SkyMiles companion certificate works great if you want to book a round-trip flight with your significant other, family or friend that costs more than the credit card’s annual fee. Since most round-trip flights within the U.S. generally costs more than $195, you’ll reap the benefits right off the back by redeeming your companion certificate. Remember the goal here is to offset the credit card fee so use the companion certificate on flights which cost more than $195. Step 1: Log In to Delta.com with your Delta SkyMiles information. Step 2: Navigate to “SkyMiles” → “Manage Your Account”. Step 3: Next go to “My Delta” → “My Wallet”. Step 4: Inside “My Wallet” click on “Credits and Certificates”. Step 5: Select your certificate and go on to booking your flights. The companion certificate can only be used on domestic flights within the contiguous 48 states. That means if you’re based in the states, no round-trip flights to Alaska, Hawaii, USVI or Puerto Rico. The round-trip companion certificate has to be used on domestic main cabin or business class fares. Both your ticket and your companion tickets has to be booked on the same flight. You have to pay for taxes and fees of no more than $75 for domestic round-trip flights. If you cancel your itinerary, you can’t reuse your companion certificate. You must book and fly by the date listed on your certificate. Can’t accrue miles from your companion certificate. Can only claim this through delta.com. You have to pay for these tickets with your Platinum Delta SkyMiles credit card. First checked bag free on Delta flights. 2x Miles on Delta purchases like flights booked on Delta.com, seat upgrades and in-flight purchases. If you’re interested in the Platinum Delta SkyMiles credit card sign up and get 60,000 SkyMiles (equivalent to a round-trip flight to Europe) after spending $2,000 in 3 months. This is a limited time offer. Not sure when to book the cheapest flights, check out Episode 5 where we chat about the latest airfare trends and the best times to book a flight deal. What’s your favorite thing about earning and redeeming points and miles? 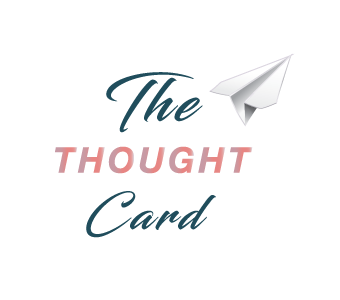 To listen to more episodes of The Thought Card don’t forget to find us on your favorite podcast player – Apple Podcasts (iTunes), Google Podcasts, Spotify and Stitcher and leave us a thoughtful review. Do you save for your travel expenses separately? Travel doesn’t have to be expensive but it does cost money. 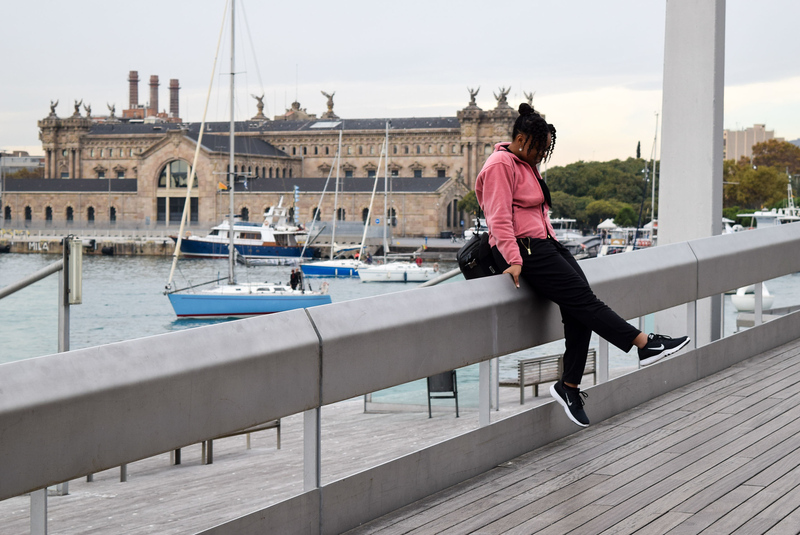 If you want to start traveling but know that in order to do so you need to make tweaks to your budget then the first thing that I recommend doing is starting a travel fund. What is a travel fund? Why is a travel fund important? How to get started with a travel fund? Where to stash your travel savings? A travel fund is a powerful tool that you can use to help you save money for travel. A travel fund is a dedicated bank account (checking, savings or money market) devoted to your travel savings and expenses. With a travel fund you’re intentionally saving money for travel and when it comes time to spend, you have a stash to pull from. The point of a travel fund is to have money available for travel when you need it. A travel fund is important because it’s so much easier to save money for travel when it has its own home – a dedicated bank account separate from everything else. #1 It’s a lot easier when you keep things separate. When you commingle funds you are less likely to achieve your goals. Even with the best intentions, it’s easy to overspend when all of your money is jumbled together in one bank account. So if you ever have to pay for a flight or want to go on a spontaneous weekend getaway, you can tap into the funds you set aside specifically for travel expenses like flights, lodging, attractions and more. A travel fund can also help you avoid getting into debt and paying high balances on your credit card. At a glance you can check your balance and know exactly how much you have available to spend on travel. A travel fund can keep your wanderlust in check and brings clarity to your finances. Treat travel like a recurring bill. If travel is important then consider treating it like a recurring bill. As a recurring bill you’ll set money aside for it every single month. Put travel right up their with your car insurance, rent and gym membership. Make travel a financial priority in your life by including it as a line item in your monthly budget. If you treat travel like a recurring bill you can potentially save hundreds or maybe thousands of dollars by the end of the year. It all depends on how aggressively you want to save for it. To do this, I recommend setting up a direct deposit with your employer. This way your money will get directly deposited into your travel bank account every time you get paid. Helpful Tip: Don’t wait for the day after or even the week after to make this transaction, do it when you get paid. The set up process is easy. Figure out how much you want to save towards travel every pay period. Set up direct deposit with your employer. Go about your life – set it, forget it and watch it grow! Now if you want to schedule additional automatic transfers after you get paid to accelerate reaching your travel goals, by all means go for it! I believe in you! See you next time for Episode 3 where we chat with Richelle Gamlam about teaching English in China! Do you have a travel fund? Why or why not? Hey, if you are getting value from The Thought Card, show me some love by subscribing! Don’t forget new episodes drop every other Thursday. Hit Subscribe – You’re Done!